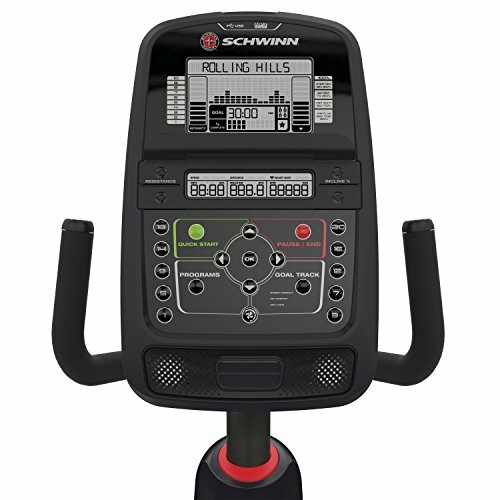 The Schwinn 230 is Schwinn’s answer to an affordable recumbent bike that comes with great functionality, ease of use, and full reliability for users. It’s got everything you could need for weight loss, fitness, and toning wrapped up in one affordable package. This recumbent Schwinn exercise bike is a slimmed down version of the more expensive 270 model. However, it still comes with 20 different levels of resistance along with 22 workout programs. That’s only 7 less programmable workouts than the 270 recumbent bike. It’s missing a few other features, like the heart rate chest strap monitor and bluetooth capability, but other than that it’s pretty much identical. For my money this 230 version is the best bang for your buck and is going to save you close to $200. What drawbacks am I aware of? Are Recumbent Bikes The Best Choice? — The seat is contoured as well as ventilated. — Lumbar support built in to the backrest assures a comfortable workout. — Quick, easy to reach and use adjustment lever with the seat on an aluminum slider rail system. — Heart rate grips Ergonomically placed for ease of use. If you haven’t owned a Schwinn product before, you will be impressed with the quality. Schwinn has been around for over 100 years and you’ll get plenty of experience, design, and function with the 230 recumbent bike. When you first get the exercise bike and get the box open, you will see that as much of the frame as possible is pre-assembled. Everything is exceptionally well made and seamlessly fits together. Any standard electrical wall socket with a 110-120 volt circuit will do it. 1.5A output. 90-240V, 50-60Hz adapter included AC power adapter included. One of the first things you’ll notice about the Schwinn 230 Recumbent Bike when you are assembling it is how well it’s built. Plan on at least an hour to get it put together. It can certainly be put together by one person, but 2 are going to make it much easier and faster. You will receive a full illustrated guide to help guide you step by step through to completion. If you plan on assembling it in a different location than where you will ride the bike, it’s heavy and will require 2 people move it. Like all Schwinn products, the 230 stands out from the rest. The seat easily adjust to fit your size and has plenty of workouts to choose from. No trouble to go from enjoyable and fun rides to more intense uphill and mountain rides. Of course there’s plenty of resistance available for a good cardio workout too. The controls and the computer are easy to find your way around and intuitive. You really can’t help but notice how smooth and quiet this exercise bike is, even when your riding fast or at high resistance levels. Just another sign of the Schwinn quality buyers have come to expect. The controls are intuitive and easy to use, and the highest resistance levels are enough to challenge even accomplished, experienced cyclists. Noticeably, the bike is also whisper quiet, even at these higher levels. This smooth and quiet operation all reinforces the fact that the Schwinn 230 is extremely well made.
? ?That’s about all the cons?? Like any product or exercise bike, I can nit pick it until I find something wrong. However, you really will need to look close to find any drawbacks to owning this exercise bike. About the only thing I am aware of is that it tracks users with several metrics that include heart rate, calories burned, etc. for only two users. I can see how that may be a problem if more users are really going to set up a riding schedule and depend on these metrics? There is also not a manual adjustment for the brightness levels of the monitor? If these very little problems are going to upset you, well, I don’t know anything to do but have a look at the more expensive model and pay for them. 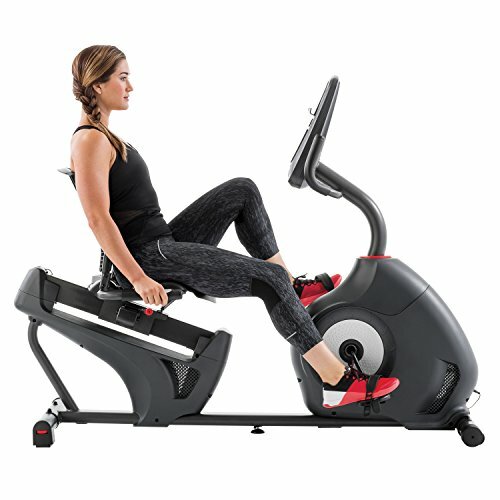 However, if you are looking for one of the best made, comfortable, and reliable recumbent exercise bike — The Schwinn 230 Recumbent Exercise Bike at the Best Price available is for you. 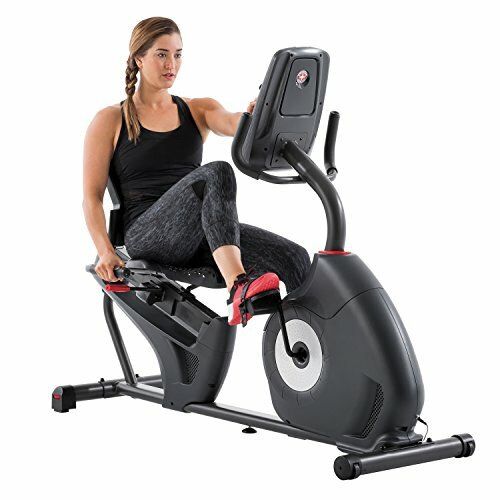 When I started looking for an indoor exercise bike to use at home, I found out there were a lot more choices than I realized. My only hard and fast rule is to stay away from cheap knockoffs. Even if you have to save longer to get a reliable piece of equipment — It will be worth it in the long run! I’ll admit right off that the Schwinn 230 Recumbent Exercise Bike in this review might be a little pricey for some? However, for the money you know you are purchasing a product with a reputation for lasting power. In fact, I have Schwinn exercise bikes that I’ve been using for close to 20 years. How long will they last? Who knows, but I rely on them and trust them for my workouts day after day. For me that means dividing the original cost by 20 years to find the real value of purchasing a name I can count on. When you sit on a recumbent bike, you sit more “into” and “on top of” the frame than on an upright bike. Because you are sitting more “in the frame”, the pedals are more in front of you rather than under you as on upright bikes. On a recumbent bike you sit in a more natural and reclined sitting position than on an upright type bike. The seat is more of a bucket type seat with a back (usually an integral part of the seat). The seat is much larger and more natural than a small bicycle seat on most upright exercise bikes. Because you sit in a more natural and reclined position, there’s much less stress on your back than an upright type bike. You can exercise for longer periods of time without the normal discomfort of bicycle type seats. Exercising on recumbent bikes is so much more comfortable you’re workouts will be longer. This means your back muscles won’t tire from having to hold yourself upright as on other type bikes. There’s much less impact on your joints with the pedals being in front of you, than under you. There won’t be as much pressure exerted on your hips and knees so that riding is a more gentle experience on your body. The hourly calorie burn is the same even though you are exercising in much more comfortable position. Some people feel much safer on a recumbent bike because of the closeness to the floor compared to sitting up above the pedals on uprights. The more comfortable you are when you do your workouts, the more apt you are to stick with your goals. You really can’t go wrong with a Schwinn 230 Recumbent Exercise Bike. Check on the price and current deals going on at Amazon Now! It’s simply the right bike for the right price, and you can surely expect years of service from Schwinn.